The decision to include facial feminization surgery as a part of your transition is a very personal one, and one that you probably haven’t made lightly. You might not have even made a firm decision yet and are still seeking a guide to facial feminization to see if FFS is a good fit for you. Wherever you are in your journey, it’s normal to have lots of questions. 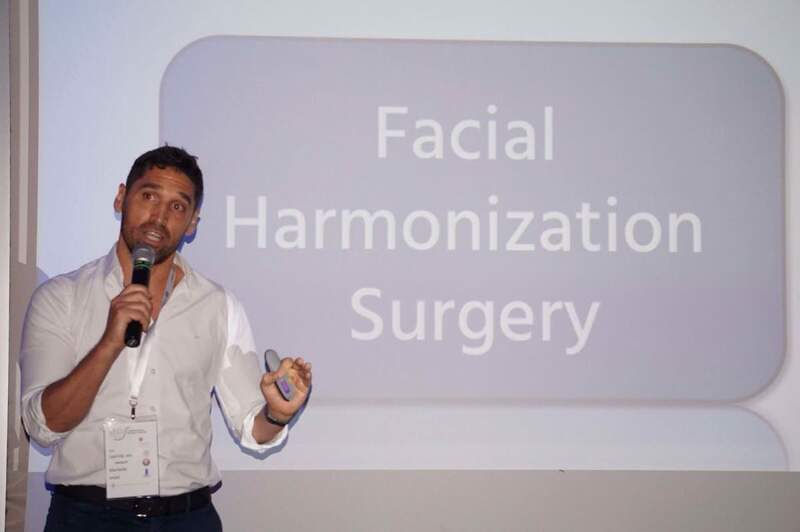 Some people feel overwhelmed by the uncertainty when they start thinking about facial feminization, also referred to as facial harmonization. To help relieve some of this anxiety, we have made this Guide to Facial Feminization Surgery which we hope will answer some of your most pressing questions. The biggest question people have early in their research phase is, “What is FFS?” The simple answer is: any procedure or set of surgical procedures intended to give the face a more female appearance. When it comes to FFS surgery, there is no one-size-fits-all treatment that will provide each patient with their desired results. Generally, feminization is a “reductive” process focused on reducing bone volume. In other words, most faces have feminine features before the onset of puberty. Masculine features develope over the feminine foundation due to the effects of hormonal changes during puberty. Reduction of the forehead and brow ridge. Reduction and softening of the jawline. Tracheal shave (Adam’s apple reduction). 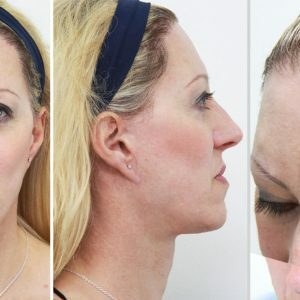 Rhinoplasty (nose job), specifically aiming to feminise. The general process of FFS involves 4 steps: Evaluation, Confirmation, Surgery, and Going Home. Every face is unique, so a thorough evaluation of each patient’s face is key to achieving great results from FFS. Surgical practices will vary in exactly how this assessment is carried out. Typically, you would visit the facial feminization specialist’s office in person, although internet technology has made it possible to have a virtual orientation if necessary. In both cases, you will be asked for photographs of your face following certain guidelines. Sometimes, the specialists will take the required photos in office during your initial orientation. The goal of the photos is to give the surgical team a reference while developing a proposed treatment plan. For this reason, the pictures will need to be taken at specific angles, without things that obstruct the view of the facial features and head (e.g. hats, glasses, excessive makeup). Some facial feminization surgery specialists include more advanced imaging techniques in the preliminary study. For example, the doctors at FACIALTEAM generally perform a 3-D cranial CT scan to gain a more complete understanding of the bone structure that needs to be worked on. Three-dimensional avatars may also be created when necessary for the study of certain cases. You should be provided with a proposal for the types of procedures to be done, including an estimated price for the entire process. The quote should specify what is and what is not included as well as the conditions regarding postponement or cancellation. The procedures in the proposed treatment plan leave you with highly personal decisions to be made. It is advisable for you to take your time during this stage. When you are ready, and not a moment sooner, you can follow up with the FFS specialists to review the details of your surgeries and determine what your actual facial feminization surgery costs will be. This is also a good time to ask the surgical team any questions you may have about a particular procedure. Usually, the doctors will also take a detailed medical history if they haven’t already, and may order some routine medical tests to be prepared fully for surgery. At this stage, the surgical practice will work with you to schedule a convenient date for your FFS treatment, taking into account recovery time. You may be asked to make a deposit in order to reserve your surgery date. For patients who have traveled long distances for surgery with their preferred facial feminization specialist, it will be important to arrange for transportation and accommodations in advance. At FACIALTEAM, we guide you through each step to make sure your stay in Marbella, Spain is a wonderful one. You’ve been waiting for this day, likely with a mixture of excitement and nervousness. Depending on the person, it may be a good idea to bring a close friend or family member with you to the surgical center when the day arrives. Having support of a someone you can depend on to care for small details during this very emotional experience will be very helpful throughout your recovery. Any Guide to Facial Feminisation Surgery should specify that you will most likely be released from the hospital a few days after surgery day, when you are recuperated and ready. 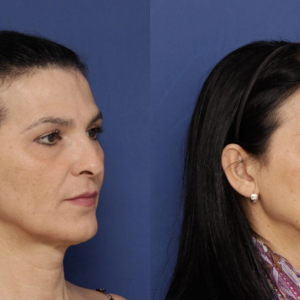 The results of facial feminization surgery are not immediately visible. This is because of bruising and swelling—normal after any operation. But as you heal, you will see the transformation occurring, little by little, revealing a face that is still you, just a more feminine version of you! Your post-operative support and follow-up will be managed by a specialised coordinator and doctor dedicated to assessing your evolution. FACIALTEAM is committed to monitoring your recovery for as long as it takes. We hope this brief Guide to Facial Feminization Surgery has answered some of your biggest questions about FFS. If you have further questions or would like more information, you can contact us or follow us on Facebook.